From bursts of colour at the seaside and the music of George Gershwin to tall men and self-mockery, here’s our pick of the week’s best things to do. The coastline at Scheveningen is lit up by thousands of fireworks during the annual International Firework Festival which takes place over two weekends, starting this Friday. 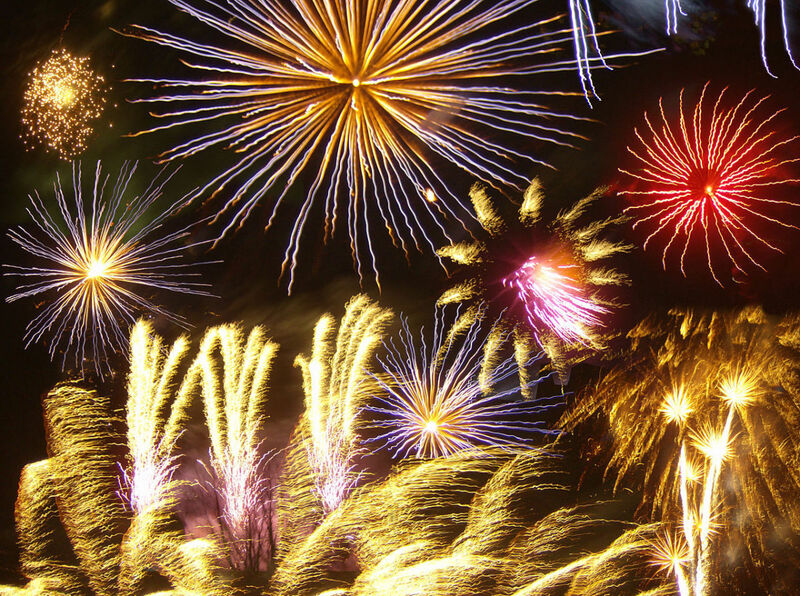 This weekend there are displays by firework experts from Poland, Germany, Japan and Korea. Next weekend it’s the turn of Italy, the Netherlands, China and Spain. Former leader Henk Meutgeert returns to conduct the Jazz Orchestra of the Concertgebouw in a programme of Riffs and Rhythms from composers ranging from George Gershwin to Duke Ellington. He is joined by guests such as American vocalist Deborah Brown, singer and pianist Georgie Fame and saxophonist Benjamin Herman. Top teams from around the world compete in the World Tour Grand Slam beach volleyball. There are also competitions for young and less experienced players. The Hortus Festival of classical music, which takes place in the Netherlands’ most beautiful gardens, features the music of Schumann, Chausson, Schoenberg, Listz and Mendelssohn. Among those taking part are the Hortus Ensemble and the Thalia Ensemble. For the exhibition Global Imaginations, Museum de Lakenhal in Leiden invited international artists to contribute a piece of work – existing or new – which shows their vision of our globalised world. The results range from large-scale installations and sculpture to video projections. Among the artist exhibiting are the Ghana Thinktank, which was founded in 2006 by Christopher Robbins, John Ewing and Matey Odonkor, with Monument to the Dutch (photo, 2015). 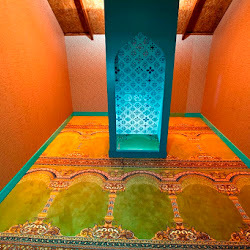 Others taking part are Simryn Gill from Singapore, Mona Hatoum from Libanon and Dutch artist Marjolijn Dijkman. Dark Places is the second film adaptation of a novel by Gillian Flynn, following the success of Gone Girl. It mixes serial killings, satanic cults, true-crime obsessives and family secrets but comes up short of the tension of the first film. It does, however, offer twists and revelations, and it benefits from the strong performances of Charlize Theron and Chloe Grace Moretz. Theron plays Libby Day, whose surly attitude to life stems from the murder of her mother (Christina Hendricks) and her two sisters on their family farm when she was eight-years-old (played in the flashbacks by Sterling Jerins). Her brother, Ben, is in jail for the murder. It’s coming up to 30 years after the crime and Libby accepts an invitation, in return for some much-needed cash, to talk about the case to the Kill Club, a group of true-crime enthusiasts led by local laundromat owner Lyle Wirth (Nicholas Hoult). Director Gilles Paquet-Brenner tells this complex tale clearly while flashing back and forth between the past and the present. Disappointing, then, that the solution to what actually happened on that long ago night should be so implausible. Boom Chicago is celebrating 21 years of improvisation with 21 Years of Mockery. The programme is a mix of the comedians’ favourite improvs and new scenes making fun of Dutch people, Americans and just about everything else. You shout out a subject and they will mock it. Check out the website for the evenings it is playing. The Canal Festival of classical music takes place along the canals of Amsterdam in unusual places, such as hotels, churches and museums and on boats and in parks. It attracts an international line-up of musicians. 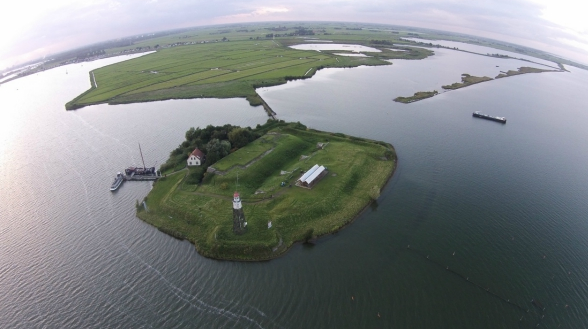 This year, for instance, the Vespucci Quartet plays Debussy and Stravinsky on the Fort Island Pampus, and the Keuris Quartet are on the Vuurtoren (Lighthouse) Island playing Vaughan Williams and Tidrow. One of the highlights is the Prinsengracht Concert on August 22, which takes place on a pontoon across the Prinsengracht outside the Pulitzer Hotel. The soloist this year is the French pianist Alexandre Tharaud who headlines a programme of classical music, flamenco and French chansons. The Netherlands basketball team plays the Fighting Illini from the University of Illinois, one of America’s top teams. The Dutch team have been making a come-back after a mediocre period between 1991 and 2012. Under coach Toon van Helfteren, they have been scoring some surprising victories. Xian Zhang conducts the European Youth Orchestra in a programme of works by Tchaikovsky. It includes Rococo variations in A with Alisa Weilerstein on cello. For more suggestions of what to do in August and September visit the full What’s On section.